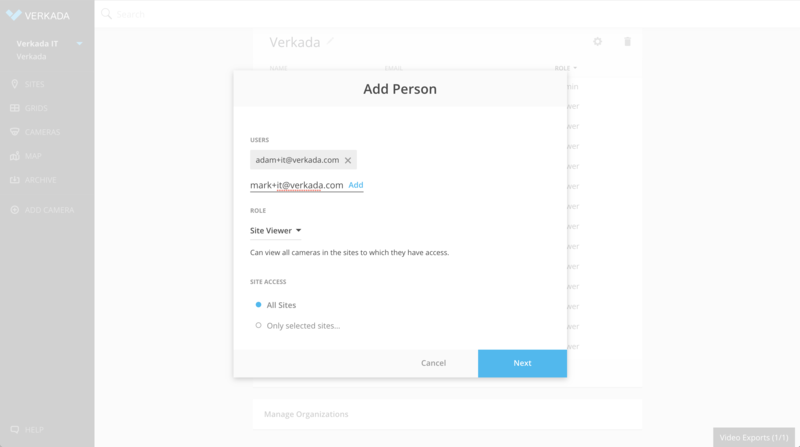 Your Verkada Command software license includes unlimited users. 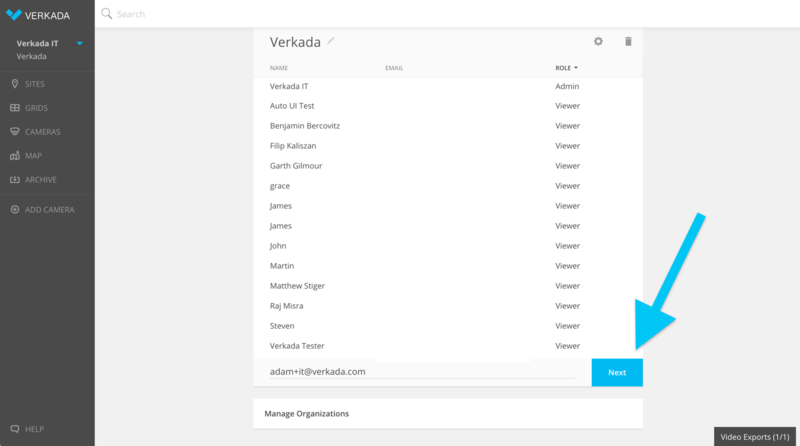 With an Admin user role, you can invite users to your organization's Command account and control which sites and cameras they're permitted to view and/or manage. 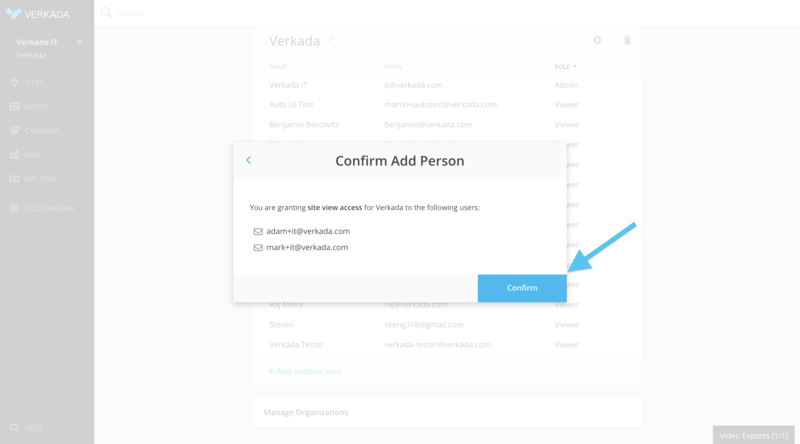 Once invited, your user(s) will receive an automatic email inviting them to create their account and set a password. **NOTE: if you or your users don't receive the invite email as expected, be sure to check your SPAM folder, as some email filters may prevent it from reaching your inbox. To get started, go to "Settings" on the left menu. Enter the user's email address and click "Next." In the next panel, you'll set their Role. You can also choose to add additional users. 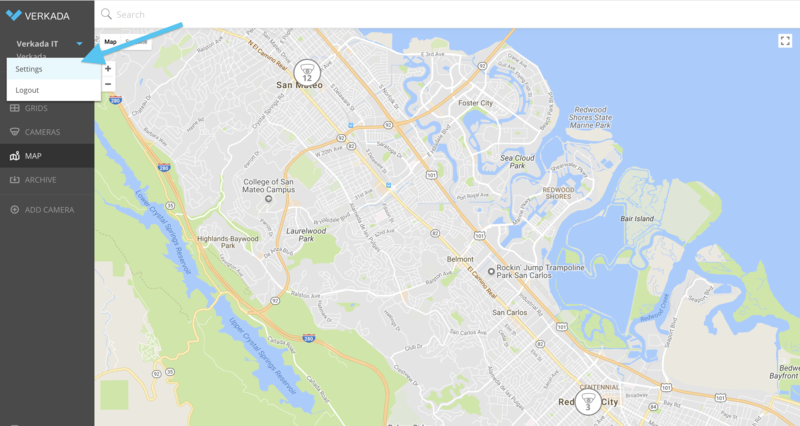 The default role is Site Viewer, which gives the user(s) the ability to view live and recorded video from all the cameras in their Sites. 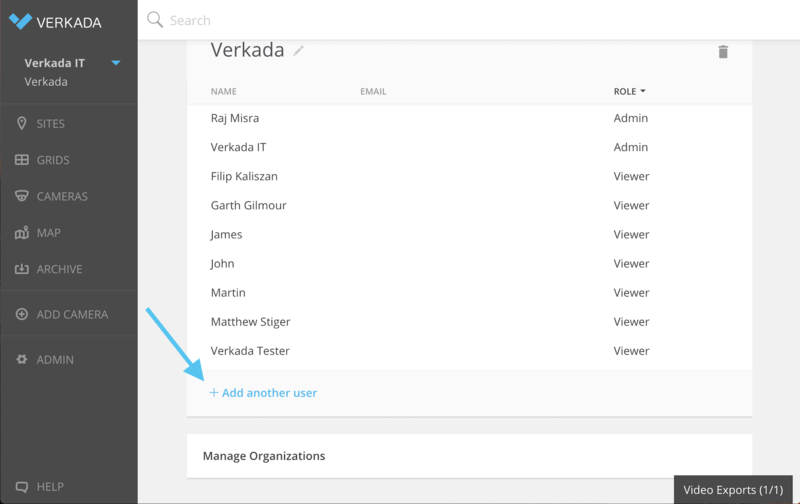 You can select Site Admin or Organization Admin by clicking the Role dropdown menu. 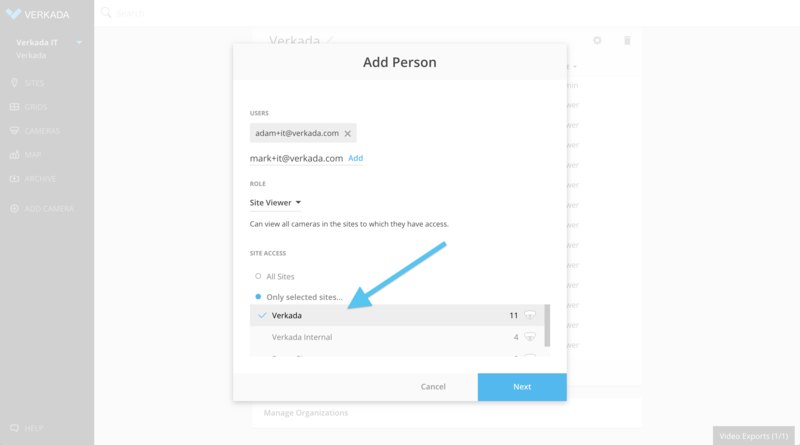 Next, you'll need to define whether the user role permissions will apply to all Sites in your Organization, or only the Sites that you specify. Once you've made your selection, click "Next." You'll then be asked to confirm your selection. If everything looks good, click "Confirm." You're done! Your user(s) will receive an email inviting them to your organization's Command account with the Role permissions you've just defined.